Hi all! I'd like to start off my blog post by wishing you all a Happy Mother's Day, hope you find some time today to spend with your family. 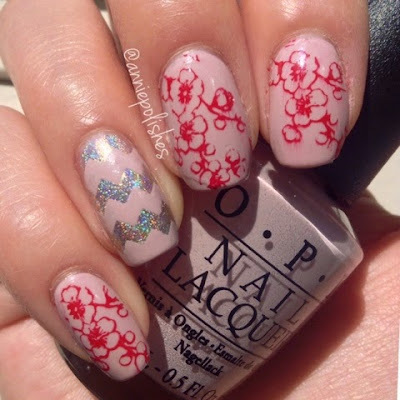 Today I have another stamping plate from Born Pretty Store to review. This time around it is the Chic Flower Nail Art Stamp Template Image Plate Pattern #Qgirl-022 (item #18899). This plate costs $2.99USD and contains 9 different floral designs. 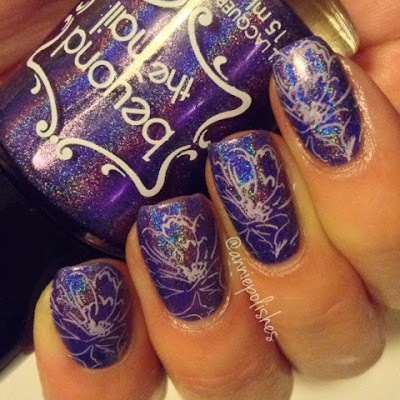 I had no real difficulty picking up the images but felt as though the image wasn't cut deep enough so that the stamped image wasn't as intense as I would have liked. 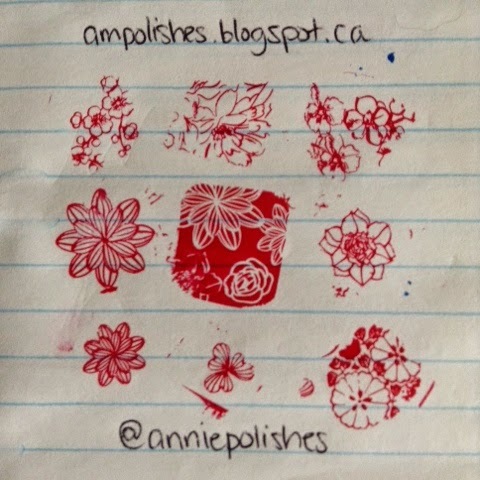 I do suggest using a polish specifically made for stamping to get the more success out of this plate. Click to see what I created!